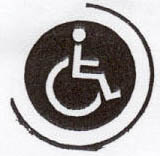 At the 1975 Annual Conference of the Amputees Federation, the suggestion was made that the wheelchair symbol introduced under the Standards Code be adopted as a car sticker for all disabled people. The Federation referred the matter to Coordinating Councils and eventually, in October 1977, ‘Operation Mobility’ was launched. The scheme was, and continues to be, administered by CCS Disability Action (previously known as the NZ Crippled Children Society) and entitles holders of the Mobility Card to various parking concessions. As well as permit-holders being entitled to use accessible car parks displaying the wheelchair symbol, concessions include being able to park on standard car parks, metered spaces and time restricted zones for longer than stated times. Eligibility criteria apply, e.g. the ability to walk only a limited distance. If applying for a permit for the first time, a doctor’s certificate must be obtained but if renewing the permit you will not have to provide any additional medical information. Application forms are available on-line (address below), through any branch of CCS or from their National office at P O Box 6349, Te Aro, Wellington.